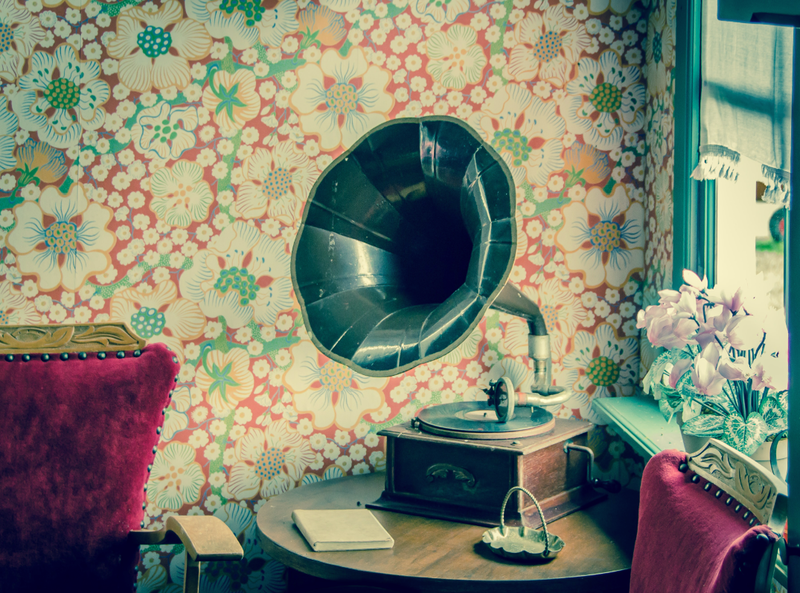 On the book tour for Carole Matthews’ delicious new book called ‘Million Love Songs’, I bring you the Spotify playlist that Carole listened to whilst writing the book. ‘Million Love Songs’ is about a young woman called Ruby Brown who finds herself suddenly single for the first time in years. She’s ready to dive into the single world of footloose and fancyfree but it seems that fate has something else in store, as two handsome men catch her eye. Featuring 21 of the greatest love songs of all time, from the tones of Elvis Presley’s ‘Always On My Mind’ to the quirky ‘Friday I’m In Love’by The Cure, there’s something from everyone to cuddle up to. ‘Romeo and Juliet’ by Dire Straits – I always loved the conversational tone of this song and it appears in one of my favourite movies, ‘Empire Records’. ‘She Will Be Loved’ by Mauroon 5 – A sweet song about unattainable love. ‘It Must Have Been Love’ by Roxette – Another great song from the brilliant ‘Pretty Woman’ film about a brief love affair. ‘I Love You Always Forever’ by Donna Lewis – This song was released in 1996 and it’s one song I always turn the radio up to, this song never gets old! ‘Call Me Maybe’ by Carly Rae Jepson – A feel good love song that gets everyone up and dancing! I’m currently reading ‘Million Love Songs’ and I’m already loving joining Ruby Brown on her singleton journey. Stay tuned, my review will be coming soon! 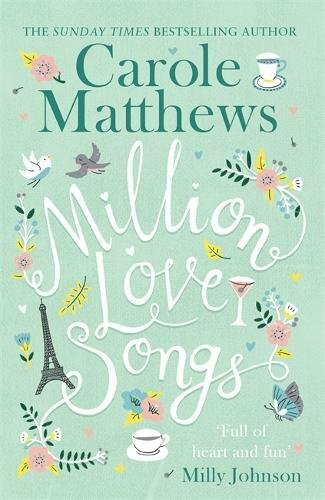 Carole Matthews’ is kicking 2018 off with a bang with a new book called ‘Million Love Songs’. After splitting up with her cheating husband, Ruby Brown is ready for a change. She’s single for the first time in years and she’s going to dive into this brave new world with a smile on her face and a spring in her step. The last thing she’s looking for is another serious relationship. Mason represents everything Ruby wants right now: he’s charming, smooth, and perfect for some no-strings-attached fun, yet Ruby can’t help feel that something is missing. Joe on the other hand is kind, attentive and good-looking, but comes with the sort of baggage Ruby wants to avoid: an annoyingly attractive ex-wife and two teenage children. Ruby soon has some very tough decisions to make. Is she even ready for a relationship? Ruby may think she knows what she wants, is that what she needs to be truly happy? ‘Million Love Songs’ sees Carole Matthews at her feel-good best, with a wonderful and emotional story of starting over and finding happiness. An absolute must-read! You can pre-order Million Love Songs from Amazon and will be available to buy from good bookshops from 22nd March 2018. ‘Mistletoe On 34th Street’ is the latest book by Lisa Dickenson. Olivia has never experienced a snow-covered, ‘traditional’ Christmas before. Having grown up in a family that chose winter sun over decking the halls, she’s not sure what all the fuss is about. So when she and her colleagues are stranded in New York after a work trip, Olivia is perfectly happy spending the holiday season in the Big Apple. Jon, Olivia’s friend, on the other hand is desperate to get home in time for his big family get-together. Nevertheless, determined to make the best out of the situation, he sets out to show Olivia how enchanting Christmas in New York can be. And when handsome New Yorker Elijah is added to the mix, could the magic of the season finally be working its charm on Olivia? As 25 December draws closer, Olivia suddenly finds herself with a decision to make: who does she really want to kiss under the mistletoe this Christmas? When it comes to Christmas books. Lisa Dickenson certainly knows how to write a good one, after falling in love with her debut story, ‘The Twelve Dates Of Christmas’, I was delighted to receive a copy of her Christmas story and was immediately engrossed in this romantic tale set in the bustling city of New York. When it comes to Christmas, Olivia doesn’t go overboard, her parents prefer to disappear to a warmer and sunnier climate and her sisters are always looking for their next adventure whilst Olivia spends the festive season alone. After being left broke and alone, she is careful with her money and tends to over think her spending. 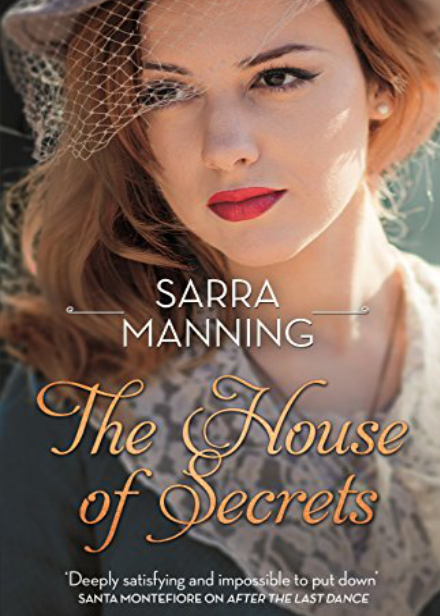 When the opportunity arises to go to New York with her work, Girls Of The World, Olivia jumps at the chance to get away and show her potential and plus it will give her the chance to see Jon, a friend who she always meets at work conferences. It’s whilst working in New York that the weather takes a turn for the worse leaving Olivia and her work mates stranded there for Christmas and although everyone wants home, Olivia is secretly delighted that she gets to spend some time with Jon, who is determined to show Olivia the true meaning of Christmas. The story is written in the first person and gives a witty and fun insight into Olivia’s nature, she’s a kind woman, who’s taken over the maternal role of guardian of her workmates whilst in New York, she helps with their secrets and offers a shoulder when their upset and want to get home to their partners. I found her to be genuinely entertaining character, who was relatable and optimistic in her situations and personality. As she was hurt in the past, she is hesitant of making the same mistakes and even though she is attracted to John, she is scared of history repeating itself. As the story progresses, it’s lovely seeing Olivia begin to feel more confident in herself and begin to believe in Christmas as the magic of the story unfolds. Jon, is absolutely delicious and is besotted with Olivia, he’s supportive and wants nothing more, than to give her a traditional Christmas, a Christmas that he grew up with, having come from a big and loving family. The other characters in the story make for vibrant reading, as personalities clash and new relationships ignite and set against the snowy backdrop of New York makes this story even more charming, as Olivia discovers the city and the Christmas charm behind each place that Jon takes her. A cleverly written story that is heartwarming from the very beginning about the magic of Christmas and love, ‘Mistletoe On 34th Street’ is the perfect fun and festive read to curl up with this Christmas. 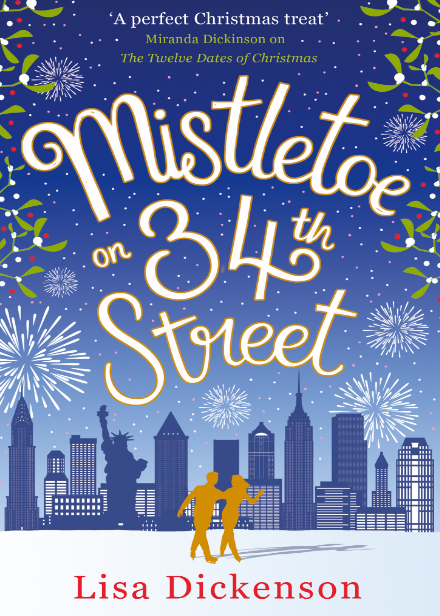 You can buy Mistletoe on 34th Street from Amazon and is available to buy from good bookshops. We have only finished Carole’s latest instalment of the Chocolate Lovers series, and already Carole has treated us to a brand new book. We’ve had ‘The Chocolate Lovers Christmas’ and now get your hats and confetti ready, because the fourth book in the series is called ‘The Chocolate Lovers’ Wedding’. Sounds like another delicous book to look forward to in 2016. 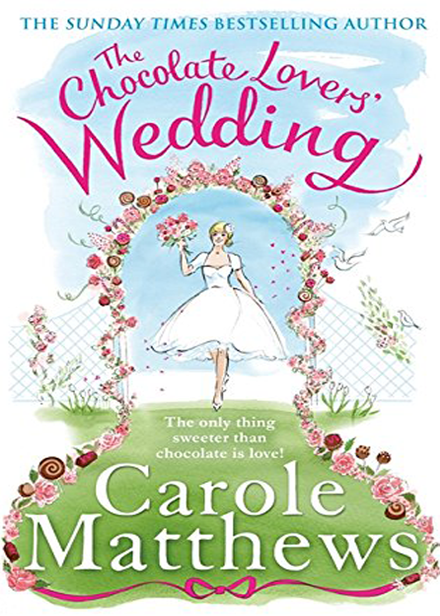 You can pre-order The Chocolate Lovers’ Wedding (Chocolate Lovers Club 4)from Amazon and will be available to buy from good bookshops from 7th January 2015.